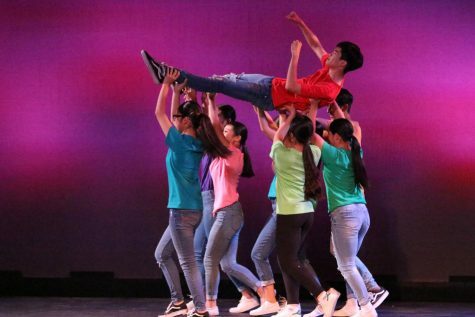 From joyful and bright dances to serious and dark ones, members of the Diamond Bar High School dance department danced their hearts out in “Chapters of Life,” their first concert of the year. The show followed the path of life starting with childhood, then moving on to adulthood and ending with passing away. 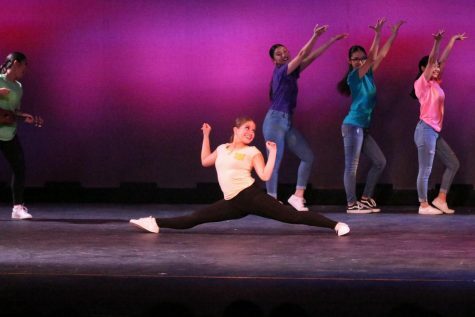 The pieces consisted of group and solo performances choreographed by students in the DBHS dance company, the advanced dance ensemble and the intermediate dance ensemble. The dance concert opened with “Zero to Hero,” a cheerful and energetic dance that depicted the happiness and carefreeness of childhood. This was followed by “Childhood Dreams,” where a trio performed a hip hop piece to the Nintendo Wii’s Mii channel music. I enjoyed the song choice as it reminded me of my childhood. In “Motown Funk,” the intermed iate ensemble opened the second act of the concert with a lively performance to throwback songs. Transitioning into adulthood, “Briefcases” comprised of hip hop dancers dressed as working adults, while “Housewives” was made up of dancers who shone under the spotlight with their dresses, aprons and graceful movements. I was impressed by the skills and passion the soloists showcased in their performances. Junior Caiya Calero’s solo “Her Story” was raw, emotional and simply breathtaking, and senior Christine Heman’s performance in “Lies” was energetic and powerful. 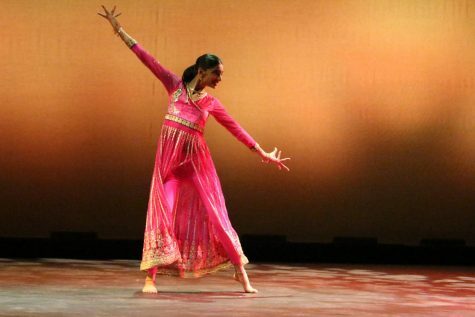 Sophomore Anoushka Bhat performed an Indian dance titled “Dare to be Different,” and stood out with her pink and gold attire and enthusiasm. Senior Joy Kao’s “Blackout” was graceful and elegant, and sophomore Katelynn Wang’s “End of The Line,” which included flowing movements and an aerial, was stunning and wowed the audience. One crowd-favorite was “Departure,” where dancers dressed as tourists walked across the stage to illustrate an airport scene before they broke out dancing to Lil Peep and XXXTENACION’s “Falling Down.” Near the end of the show, the hip hop and contemporary feel of “Ultralight” also made it a fan-favorite. The concert concluded with the song “Hard Knock Life” from the musical film “Annie.” Performers danced to the original song in the beginning, and as the music changed to a more contemporary remixed sound, so did the dancers’ movements. Overall, the dance concert was a memorable mix of various dance styles in the different stages of life. The student choreography and the surprising moves and stunts in the dances including multiple aerials, made the show an unforgettable night and made me look forward to attending the next dance concert.